Recently I wrote about the tragedy in the Himalayas. On the island of Borneo, Mount Kinabalu (or Gunung Kinabalu) is 50 kilometers (30+ miles) away from the capital city of the East Malaysian Sabah state known as Kota Kinabalu or “KK”. The mountain’s name when translated from the indigenous Kadazan-Dusun language into English is “the revered place of the dead”. There is also the theory that it is an indigenous translation from the Chinese “Cina Balu” which means “a Chinese widow”. Island residents consider it a sacred place. The mountain was at 4,095 meters (13,435 feet) before the earthquake and was still rising every year. Although it is relatively young, it is the highest one between the Himalayas and New Guinea. No one is sure of the exact impact of the earthquake, but we do know that the famous Donkey Ear’s Peak was reduced. Also, the trails to get back off of the mountain were severely damaged. This made it extremely difficult to rescue the climbers. It is estimated that more than 150 people from Australia, Canada, China, Denmark, India, Japan, Kazakhstand, Malaysia, the Netherlands, the Philippines, Singapore, South Korea, Thailand, Turkey, the United Kingdom, and the United States were probably on the mountain when the earthquake struck. Unfortunately a number of climbers are dead and injured…including a group of primary school students and teachers from Tanjong Katong Primary School in Singapore. According to local sources, the teachers from this school used their bodies to shield their students from the rocks and boulders that came crashing down. This does not surprise me as I lived and taught in Singapore as well. Teachers are very dedicated to their students there. Additionally, the original group of official park guides (and then later an extra team of 75) did everything in their power to help the climbers stay safe during the quake and also get them off of the mountain…in the middle of the night. This is certainly in line with the climbing culture that my husband and I experienced while we were there. Mount Kinabalu is popular with hikers from around the world because it is yet another United Nations Educational, Scientific and Cultural Organization (UNESCO) World Heritage Site in Asia. Although not as tough a climb as Mount Everest in Nepal, the mountain is certainly a challenge. The first ascent was made by the British colonial administrator Sir Hugh Low in 1851. Today, most people start at the Timpohon Gate which is at an altitude of 1,866 meters (6,122 feet). They then make it to the Laban Rata Resthouse at 3,270 meters (10,730 feet) to spend the night and acclimate to the high altitude. 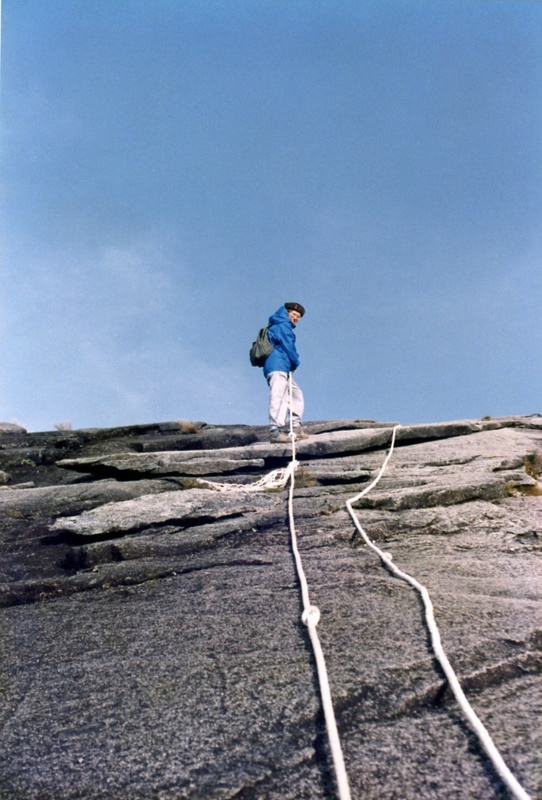 After that they rise to climb the bare granite rock to the summit of Low’s peak at dawn. I must tell you that this is the most harrowing part of the journey. If it had not been for our Japanese climbing companion I could not have done it. I was scared to death of the vertical climb up the granite cliff. He told me to close my eyes and climb the rope with one hand over the other until we got to the top. (Now, do bear in mind that he had also climbed Mount Fuji and Mount Kilimanjaro so I just prayed and trusted that he knew what he was talking about.) It worked. I made it to the summit and back down without incident. Thank you for reading! I teach intercultural communication and try to make my experiences real for my students.